The city of New Eden is cleared, but it won’t stay that way forever. The Bane continue to advance in horrific ways that will wipe humanity from the face of the Earth. A storm is coming, one none of them could have dared imagine. When a group of outsiders come to the city, everyone is on edge. They have too many questions and not enough answers about where they are from or what they want. Just because they are human doesn’t mean they can be trusted. The Bane are dead and New Eden is in the process of being cleared for habitation for the survivors. The Pulse killed off former Bane soldiers, but not without casualties. 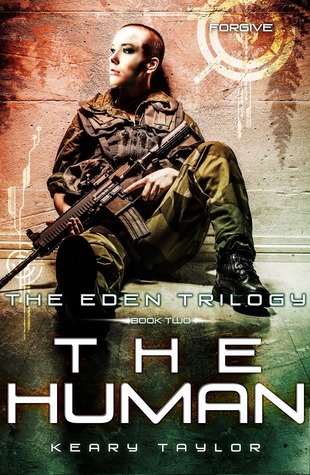 West may never be the same again, infected by The Bane, a human turned hybrid machine. The technological Bane infection spreads throughout the human body, effecting organs and your humanity. Eve is the first Bane recipient, an adjustment to save her life as an infant. She has the ability to control The Bane in small numbers... Until now. With survivors arriving at New Eden, Eve can feel that the group's intentions are sinister. They keep their cards close to their chests and refuse to answer questions. It isn't until Eve is kidnapped and West going along willingly, that she learns that there is also a large population in Seattle. They know all about Eve and plan on using her to save themselves, in exchange for life saving surgery for West to remove the remaining Bane components. Little does she release, that not only can she save humanity, she also possesses the power to destroy it. The Bane trilogy is, in one word, AWESOME. Eve is half human, half Bane machine, and some days she struggles to be either. I love her character, she's not only tough and a leader among men, she'll rewrite the young adult science fiction genre. Keary Taylor has created a post apocalyptic world where modern advances in health sciences have lead to mankind being wiped from the earth. It's scary, it's even comical at times, dramatic, heartwarming, but mostly it's bloody brilliant. The Bane Series will blow your sock clean off. Keary Taylor grew up along the foothills of the Rocky Mountains where she started creating imaginary worlds and daring characters who always fell in love. She now resides on a tiny island in the Pacific Northwest with her husband and their two young children. She continues to have an overactive imagination that frequently keeps her up at night. She is the author of the FALL OF ANGELS trilogy, EDEN, and WHAT I DIDN'T SAY.